The Wolfstone Curse by Justin Richards is a fast paced novel, full of action and adventure with a paranormal theme. At its centre are the mysterious Wolfstone Circle and Wolfstone Manor, whose dark secrets slowly unravel. The tale extends across Europe to Russia and back in time to World War 2 and the more distant past of myth and magic surrounding werewolves. Scroll down after reading this review for links to Caroline’s review and to an exclusive interview with author Justin Richards. In The Wolfstone Curse, Peter is dismayed when his archaeologist father asks him to accompany him and his associates on what he believes will be a less than exciting dig of a stone circle near the village of Wolfstone in the Coltswolds, a quiet backwater which has little to recommend itself to a teenager on the cup of adulthood. However, Peter is soon drawn into the history of Wolfstone, where the ancient inhabitants of the old manor were said to be afflicted by a curse, and where werewolves and the mystical Wolfstone Circle also feature. He soon discovers some strange goings on at the dilapidated Wolfstone Manor, the adjacent land of which is being redeveloped into a new housing development by the mysterious Sebastian Forrest, who has employed his father to investigate the circle. He is further encouraged to stay by an unlikely friendship he strikes up with Carys, the daughter of the lady who runs the Fleece Inn, where he and his father are staying. Carys ‘ family is a font of wisdom concerning the old myths and legends of the local wolves, legends which the locals still take seriously, avoiding going outside on nights which fall on and around the full moon. Indeed, it is said that no good comes of anyone who decides to investigate the mysteries of the stone circle…… It is not long before Peter suspects that Carys and her family know more than they are letting on and that they have their own secrets. When Peter witnesses some shocking events one night centred on the manor and the stone circle, his life and that of others is put in danger and he and Carys must travel deep into Europe to delve deeper into the mysteries and events linked to the manor and the circle and their apparent connection to experiments undertaken by Nazis in World War 2. They must use all of their intelligence and guile to work together to escape their enemies and destroy the threat of great evil before its plans can grow to fruition. The relationship between Peter and Carys is central to the story as they work together to uncover the secrets surrounding the Wolfstone Circle and overcome the evil that is connected to it. After a bit of a shaky start, they form a tight friendship and their mutual respect grows into a budding romance as the tale progresses. Their bravery and tenacity are tested to the full as they find themselves in many fearful, hair raising and truly horrific situations, where their lives are threatened. The supporting cast includes Carys’ mother and her grandfather, Peter’s father and the owner of the Wolfstone Manor and surrounding land, Sebastian Forrest and his son David. There is also a mysterious character known as The Old One, who plays a key role. I enjoyed how Justin Richards’ novel referred to fictional events from the past, specifically the experiments undertaken by the Nazis in World War 2 to produce genetically created Wolfen soldiers. I also liked how he referenced many of the werewolf myths and legends which exist within Europe, particularly how the power of the moonlight was harnessed by the stone circle. The use of ‘source documents’ throughout the text, including letters and a journal, add considerable depth and interest. 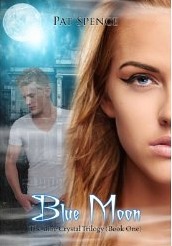 There are a number of twists and turns in the novel which I did not see coming and I was entertained throughout. 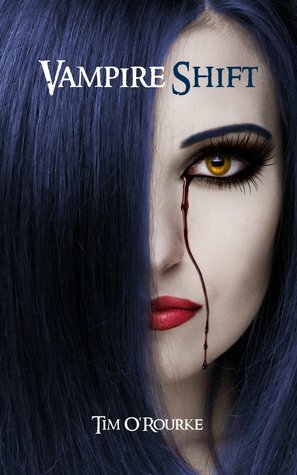 I recommend this book to those with a reading age of 12 and above who enjoy exciting, nail biting, paranormal tales with strong elements of mystery, suspense and horror. Copies of ‘The Wolfstone Curse’ were given to A Reader’s Review Blog by Templar Publishing in return for an honest and fair review. Well, what can I say – I think we have had quite a treat this last week for fans of author, Tim O’Rourke. 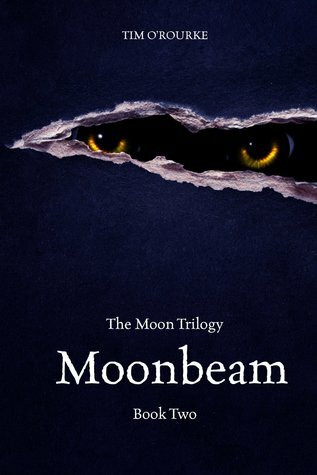 We have reviewed both of his latest releases, Moonbeam (The Moon Trilogy, Book Two) and Vampire Shift – The Graphic Novel (Keira Hudson Series One) Vol. 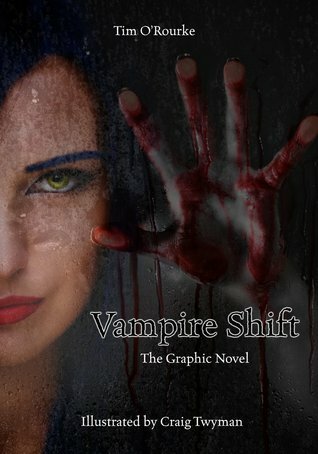 One, we have hosted a brilliant author post/biog from Tim as well as a SUPER GIVEAWAY for some lucky people to win either a signed paperback copy of Vampire Shift (Keira Hudson Series One, Book One – original novel) and/or Moonlight (The Moon Trilogy, Book One)!!!! We are extremely excited about Tim’s work as we have followed him for over a year as an independent author and after recently being signed for a three book deal with LittleBrown/Piatkus he is about to have his first Vampire Seeker novel (e-book version) released on 15th August 2013, followed in January 2014 with a paperback version. We wish Tim every success in this latest venture! His books are fun and cover young adult, adult, horror, paranormal, fantasy, time travel and not without the element of romance! There is something for everyone here. 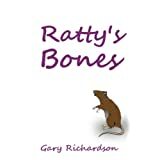 Over the last few days we have also posted reviews on Gary Richardson’s short story, Ratty’s Bones, regarding an inmate that has remained mute for the past 6 years. He suddenly decides to open up to his social worker, telling of his broken childhood and friendships as well as his friend, Ratty! Meanwhile, Tina has reviewed the fantastic paranormal/urban fantasy Lover at Last by J.R. Ward from the renowned Black Dagger Brotherhood series and Nalini Singh’s Tangle of Need, #11 in the Psy-Changeling Series! 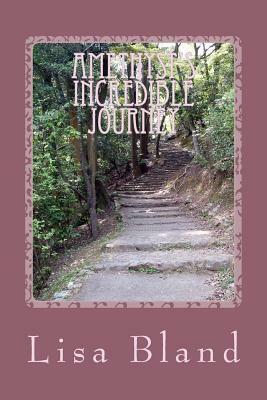 Tina has also posted a review of Mary Raimes Curtis’ new blog, A Writer’s Journey, in which Mary has shared an excerpt from Chapter 2 of her exciting new work Candle Without A Flame with our readers, which is serialised on her blog in the same way that Dickens serialised his novels. In other news, SJ Sprague’s Mulberry has been released on Amazon.com in paperback version for $13.29 or in the UK at Amazon.co.uk for £9.39. Prices are correct at the time of posting, however may be likely to change. Book Blurb: Tarago Jakobus was intelligent, arrogant and extremely wealthy. He was also openly racist, politically incorrect and a chauvinistic pig. When his eye fell on Tanin, he expected her to fall into his arms. However, she was unimpressed with his wealth and rejected him. He became obsessed with her and decided to win her over, his way – destroy all that is precious to her, so that she would have no choice but to need him. If that didn’t work he would take away her freedom. Tina is also hoping to post her review of Justin Richard’s The Wolfstone Curse. You can find our interview with Justin here, along with a short author biog and my review of The Wolfstone Curse. Tina will also be posting a Werewolf Wish List, listing all of the novels and short stories we read during our Werewolf theme. I am currently reading and reviewing White Chalk by Pavarti K. Tyler, ready to post my review on 1st August 2013 at the beginning of the book blog tour! White Chalk is a disturbingly raw and gritty coming-of-age book. It is extremely dark with a very real feel!!! My following reads will be urban fantasy Boreal and John Grey Season 1 by Chrystalla Thoma, fantasy The Pull by Brooke Morris and thriller/horror The One Percenters by John Podgursky! We hope that you have all been enjoying your summer so far. As well as enjoying a great read. Please don’t forget to enter our fantastic GIVEAWAY, ending Thursday 25th July 2013! We will look forward to hearing from you! Have a great week, guys! 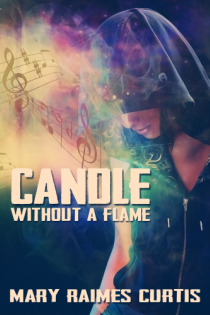 Artwork for Candle Without a Flame is credited to Marion Sipe. You may remember that we reviewed author, and Creative Consultant for BBC Books on the Dr Who titles, Justin Richards’ The Wolfstone Curse recently. We posted the review along with an author biog of Justin too. Well, now The Wolfstone Curse has been released and Justin has kindly taken some time out to give us an interview! A Reader’s Review Blog would like to say a great big THANK YOU to Justin and Templar Publishing for their support leading up to The Wolfstone Curse’s release. 1. After reading The Wolfstone Curse I was left wondering, ‘Wow, where does Richards get his inspiration from?’ Could you give us an insight to this, Justin? A lot of it is actually perspiration, and a lot of it is desperation! I tend to ‘collect’ ideas and things that interest me. Then I wonder what would happen if you put them together, how they might relate. So for The Wolfstone Curse, I combined werewolves and stone circles. That gives me a starting point – and quite often my starting point then disappears as the story takes shape and it turns into something else. 2. Was there anything in particular that gave you the idea to write about werewolves? I’ve always been fascinated by werewolves – they are monsters but ones with a tragic personal story. It was a challenge to put a new spin on a traditional monster as well. I did the same with vampires in The Parliament of Blood a few years ago, so I guess I just thought it was time to have a go at werewolves! Actually, the first idea I had for Wolfstone Curse was a spooky house, and down in the cellars is a secret area. That stayed in, of course. But originally I thought that the basement would be a werewolf museum – a huge private exhibition where the werewolf family had preserved artefacts from their history and proudly put it all on display… That would still have worked, but it distracted from what became the main narrative. So the museum was reduced to a tomb and the paintings… Maybe it’ll turn up in another book. 3. Do you use any visual objects to help in describing any of the events/characters? If so, what do you use? Sometimes for places and settings, either I visit them, or feel inspired by a place… Or I work from photographs. For Wolfstone, I had a real stone circle in my mind, for example. I used to try to find pictures of people who looked as I imagined a particular character did. But the pictures of them in my imagination were always better, so I don’t bother now! 4. Who is your favourite character in The Wolfstone Curse, and why? 5. When reading The Wolfstone Curse it certainly came across that a great deal of historical research had been done. Was this the case and did you enjoy researching for The Wolfstone Curse? 6. Who are your favourite authors and/or books? I read a lot – adult and children’s fiction as well as non-fiction for research and for fun. It’s difficult to choose favourites. Maybe I’m easily pleased! One of my favourite (adult fiction) books is ‘The Eight’ by Katherine Neville which is part historical, part set in the 1970s and all about Charlamagne’s chess set. 7. In between the researching and writing, what are your favourite pastimes? Between reading, writing and my family I don’t have a lot of spare time! I enjoy cooking, though I don’t pretend to be very good or adventurous at it. Watching television and films and going to the theatre – all of which I kid myself is research, of course. 8. Last but not least, I absolutely loved the characters Peter and Carys. They are great heroes for the reader of either gender. Are we likely to meet up with them again in another adventure? I hope so. I have all sorts of ideas about what they might get up to next – about the adventures waiting for them. I think there’s lots of potential in the characters that I’d like to explore. But it all depends how well The Wolfstone Curse does whether more Peter and Carys adventures are viable. I hope so. I can’t wait to get writing them! The Wolfstone Curse can be found on Amazon UK!!! A Reader’s Review Blog have been lucky enough to receive a copy of the forthcoming ‘The Wolfstone Curse’ by Justin Richards from Templar Publishing. Due to be released in July 2013 Tina and myself have decided to review ‘The Wolfstone Curse’ separately, beginning with my review below, along with an author biography of Justin Richards. Tina’s review will follow closer to the release date with, hopefully, an exclusive video trailer for the book!!! The Wolfstone Curse is Justin’s first novel for Templar Publishing, and the research was sometimes rather ‘hairy’. Justin is not permitted to divulge how much of the story is actually true and how much based on supposition – or to reveal the real name and location of Wolfstone or the people (and were-people) involved. When not tracking down werewolves, Justin has written for stage and screen as well as writing novels and graphic novels. He is the author of the popular children’s series The Invisible Detective, and for younger children, he writes Agent Alfie – about a school for the children of spies and secret agents. Justin’s novel for older children – The Death Collector – was published in 2006, followed by The Chaos Code in 2007, The Parliament of Blood in 2008 and The Chamber of Shadows in 2010. The Skeleton Clock is available as an eBook in iBooks, Kindle, and most other formats. The first novel in his adult SF series The Never War is due to be published by Del Rey in the autumn. Before writing full time, Justin has worked in the computer industry, and as an odd-job man at a hotel exclusively for postmen. Justin currently acts as Creative Consultant to BBC Books’ range of Doctor Who titles, as well as writing quite a few himself. Married with two sons, Justin lives and works in Warwick, within sight of one of Britain’s best-preserved castles. ‘The Wolfstone Curse’ is an action-packed thriller of horror and adventure where teenager Peter, visits the remote village of Wolfstone with his archaeologist father, Professor Crichton, who is due to be carrying out his work at the ancient Wolfstone Circle in the Cotswolds. As a teenager, in a very isolated place, Peter becomes bored and goes to explore the surrounding area, in particular the Wolfstone Manor. 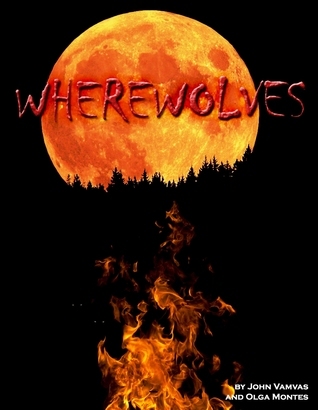 As the story unfolds Peter discovers the existence of werewolves and the curse that is placed upon them. The story begins with a diary entry, dating from the Second World War, by a soldier who has just been briefed on the Nazi experiments taking place at Castle Wolfenburg. His group of commandos are sent to attack the genetically engineered SS Wolfen soldiers to prevent these experiments from taking place. There is no holding back with Justin Richards as the reader enters the story at the very beginning with plenty of action taking place. The reader is gripped from the first page! I love the historical element of the story as the reader has insights to generations before in order to learn of the origins of the Wolfstone Circle and Manor. 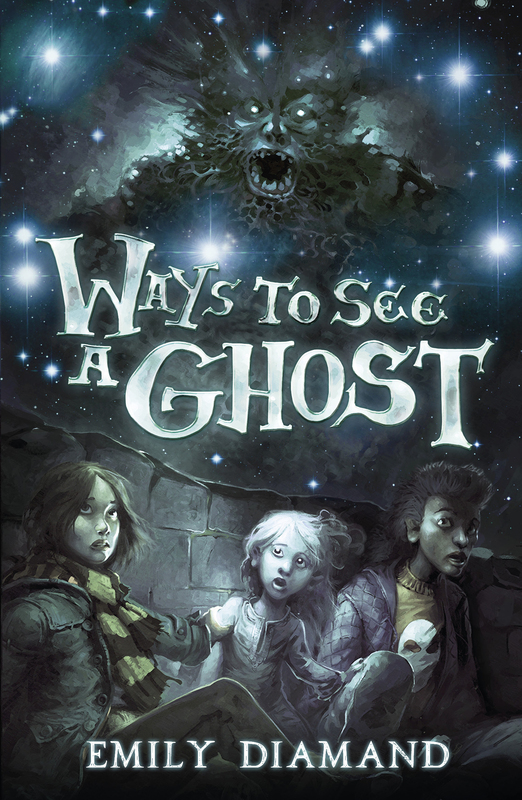 This in itself gives the story a great deal of depth, enabling the reader to have a great deal of background knowledge and to see the full picture and the development of the werewolves and their curse. Whilst in Wolfstone Peter and his father are staying at The Red Fleece, a seventeenth century inn that is run by Faye Seymour, with the help of her teenage daughter, Carys. As events take place and Peter talks to them about what he has seen the reader becomes aware that Carys and her mum are not oblivious of the village life. As Peter becomes more curious and decides to explore further, Carys assists him and their relationship grows as they rely on each other during the dark and horrific times. Peter and Carys are great, strong characters. Even when frightened they handle situations well. Although the book began with Peter, and it appeared that he alone was the hero and focus of the story, I feel that over time Carys’ character opened up and was equally as heroic as Peter. Carys seemed to be very determined to get to the bottom of the Wolfstone mystery, when Peter begun having doubts when events took a turn for the worse, and yet there were times that this led them into even more danger. However, Peter worked well with Carys and on several occasions helped her out of trouble.These two characters really compliment each other and both take on the lead roles, making them great heroes for both genders. This action-packed adventure takes us across Europe as the characters discover a similar stone circle in Vrolask, Russia. Is there a connection between Vrolask and Wolfstone? The way in which Richards describes Wolfstone Manor, the wolves and their actions is absolutely brilliant. These descriptions make it a fast-paced and very visual story and it is accompanied with plenty of dialogue from the characters. The reader grasps the characters and the story very easily due to this style of writing, enabling the reader to connect very quickly with the characters. Justin’s description of some of the scenes is fantastic. His use of onomatopoeia, with words such as, smash, snap and crunch and the context in which they are used allow the reader to really get a feel for the horror and gore. There are great descriptions of the transformations, blood, gore and bones. And yet written so brilliantly in a way that is suitable for its young target audience. Short, sharp, punchy sentences are also used to emphasize the actions and their speed, which in turn helps the reader to play out the scenes in their mind. This also helps to connect with the characters and easily helps the reader to visualise the characters and their actions. Thus, making it a more exciting read for the reader. It never loses momentum from start to finish, despite being around 430 pages. I feel that this book is suitable and will intrigue readers from the age of 12 onwards. When reading ‘The Wolfstone Curse’ I experienced feelings that I had as a child when reading Enid Blyton’s Famous Five novels – there is this great mix of young people, mystery and curiousity that creates an eeriness. 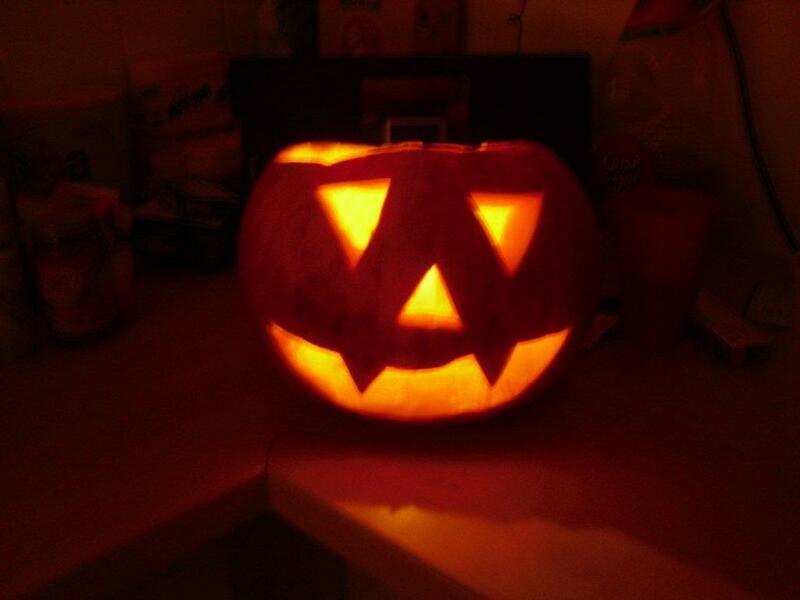 (However, ‘The Wolstone Curse’ has a more modern twist and a darker and eerier entity.) For example, when Peter checks out Wolfstone Manor it is an eery, dark and mysterious ruin in a very remote area. He and the reader knows he shouldn’t be there so he and the reader are afraid and yet far too curious to leave the story there and so Peter and the reader alike continue to delve into the unknown!. As the story moves on it becomes even more darker and horrific with the introduction of the wolves! I say that Justin Richards’ ‘The Wolfstone Curse’ is a must-read for any reader that enjoys mystery, action/adventure and paranormal fantasy novels that are fast-paced with great heroic characters as well as fantastic supporting characters. There is never a dull moment. It is a very, very exciting thriller. 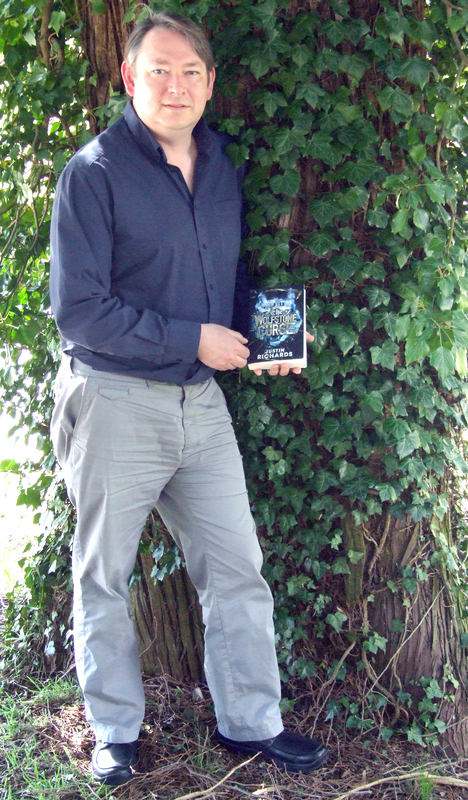 Roll on July 2013 when ‘The Wolfstone Curse’ will be released and available to the public. You will not be disappointed!!! ‘The Wolfstone Curse’ was received by A Readers Review Blog by Templar Publishing in return for an honest and fair review. 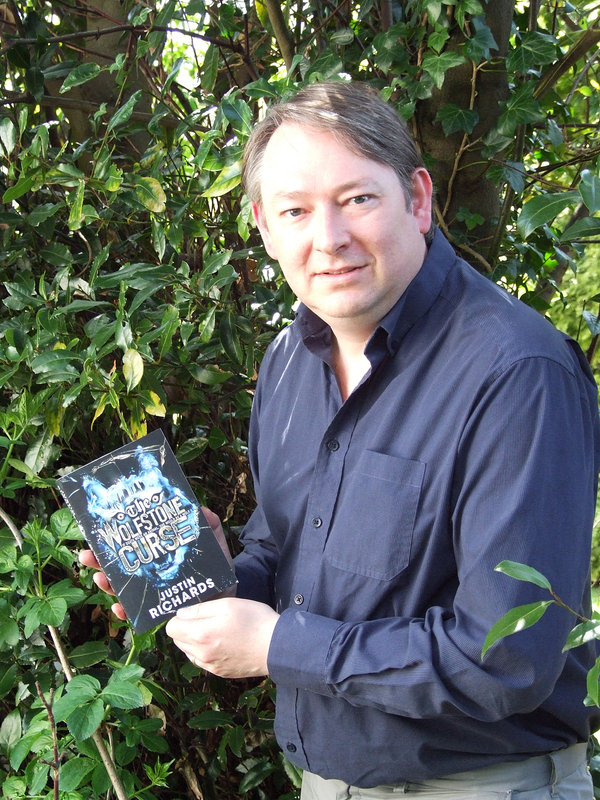 Please check out Justin Richards, the Creative Consultant for BBC Books on the Dr Who titles, author biog and look out for Tina’s review on ‘The Wolfstone Curse’ in the coming weeks with a video exclusive! 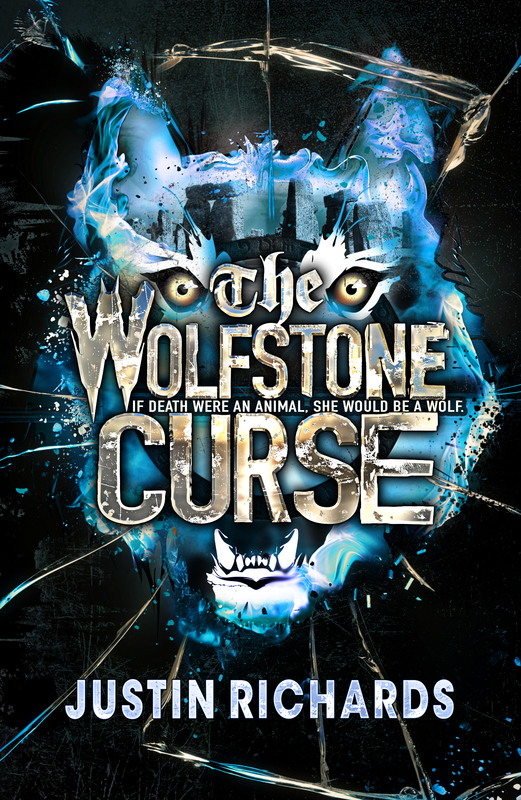 ‘The Wolfstone Curse’ will be available from July 2013!